In our new paper, Safety in Logistics Operations, we review the importance of taking safety seriously for the sake of both your associates and your bottom line. And, by taking safety seriously, we also mean taking your warehouse safety audits seriously; moving from top-down “gotcha” sessions to empowering your entire workforce. 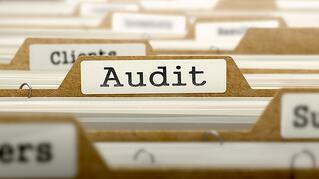 What typically happens during an audit? Too often, it is a time when those responsible for safety, walk the floor and complete a checklist of OSHA-mandated requirements. Once the checklist is complete, safety isn’t discussed (and the auditor not seen) again at the warehouse until the next audit is required. In this scenario, there are two groups of people who have two different goals. Quality personnel want to complete the audit and meet the OSHA requirements. Associates being inspected just hope to avoid getting caught making a mistake. Much like the restaurant owner hoping that the health inspector doesn’t spot a problem during the yearly visit. This “us vs them” type of audit, has very little to do with safety and much more to do with robotically fulfilling roles. What should happen during a safety audit? In order develop a true logistics company culture of safety, the audit process needs to be collaborative, with all involved working together towards a common goal. For local associates to embrace this culture of safety, they must get beyond the perception that auditors are coldly ticking boxes on a checklist. During a safety audit, associates should work as a team and physically walk the building together, proactively looking for opportunities to improve safety. In this “we’re in this together” type of audit, relationships are key. If you personally perform safety audits, make sure that the local managers and other associates don’t see you ONLY during audit time, doing audit-type activities. Talk to associates. Listen to their concerns. Attend safety meetings and celebrations. Invest time to demonstrate that you care about the facility’s success. The team will appreciate the collaboration and begin to understand that the Safety/Quality department really cares about making safety a priority. While the audit is only one component of your company’s safety program, it is an important one – or at least as important as you make it. It’s an opportunity for the company to present its vision of safety to all associates, and then empower them to play an active role in those goals. Of course, it is also a time for inspection; to see if there is true buy-in of these efforts at the associate level. So, if your next warehouse safety audit shows that improvements need to be made in a given area, the solution is not going to come in the form of a new Safety is EVERYBODY’s Business poster, or other pithy slogans. It’s going to come from the collective efforts of associates who share a common belief that a safe work environment is the foundation upon which strong logistics operations are built.